The most favorite brand in mobile market named Nokia has introduced its first Android smartphone on Sunday. 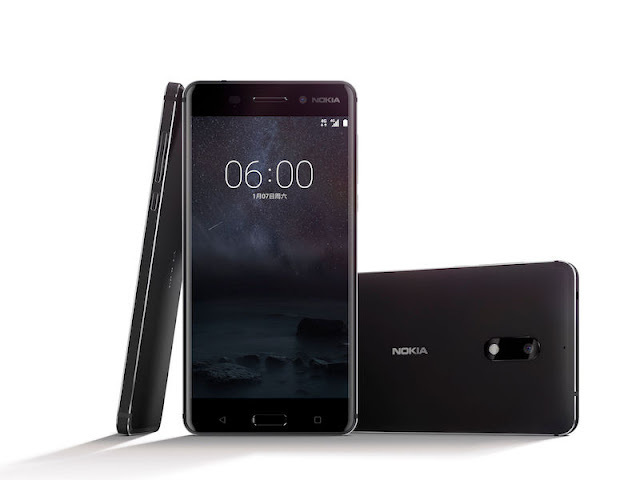 HMD Global, new custodians of Nokia brand, has introduced Android smartphone named Nokia 6 in last Sunday. Without any news or reports, HMD Global announced the launch of Nokia 6 on its website. Android based Nokia 6 smartphone will run Android 7.0 Nougat, latest updated OS by Google. The smartphone will have 5.5 inch full HD display which will be covered by 2.5D Gorilla Glass. Nokia 6 is powered by the Qualcomm Snapdragon 430 SoC with 4GB of RAM and internal storage of 64GB. Nokia 6 will be a dual SIM smartphone and will have 3000mAh battery. The body of Nokia 6 is built using 6000 series aluminium. The home button is powered by fingerprint lock as Apple and Samsung. The rear camera of Nokia 6 features f/2.0 16-megapixel with phase detection, auto focus and dual tone flash. The front camera features f/2.0 8-megapixel for better selfies. Nokia 6 is powered by Dolby Atmos tech and have dual amplifiers for better sound. Nokia 6 is a China exclusive smartphone which will be available via JD.com at 1699 CNY ( about 16,750 Indian Rupees ) in early 2017. The company has no plan to launch Nokia 6 in other markets yet.